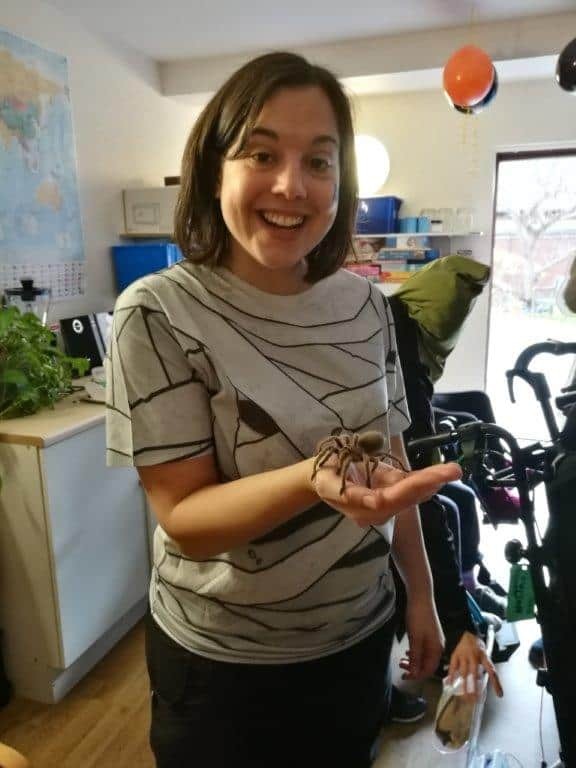 For Halloween, the activity co-ordinators arranged a variety of spooky events – we had a sensory room with all sorts of gooey and creepy textures to feel, a party with Halloween related hits such as Thriller and Monster Mash. We then had a visit from White Post Farm, a local petting zoo who brought in a mouse, lizard, snake and tarantula! They also brought some cute bunnies with them to balance it all out with a bit of fluffiness!